I recently graduated from Hillsdale College in Hillsdale, Michigan. I Bachlor of the Arts in Accounting with a minor in Computer Science. I am now employed with M&S Manufacturing Company in Hudson, Michigan. I am a Computer Programmer/Analyst for M&S. 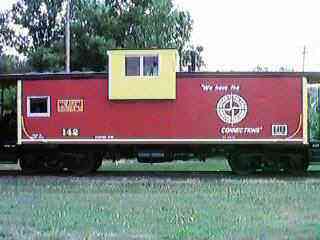 Why all this about railroads? I greatly enjoy model railroading. I mostly use HO scale, but have purchased some N scale also. 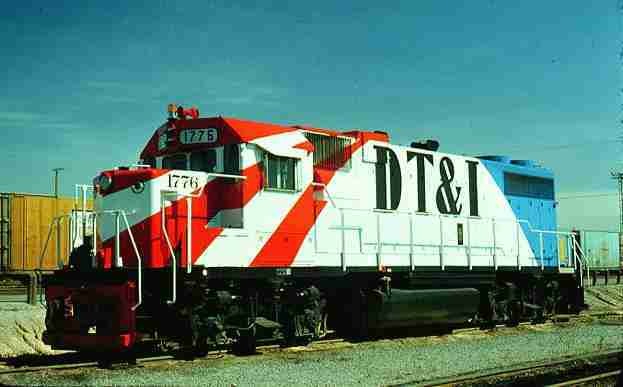 I am trying to paint and detail my own DT&I engines and cars, since there are not many out there on the market cast in the DT&I railroad name. If you have or know of any, please email me at: cyclone7@bright.net Please no spam. Thank you. This is my favorite image. 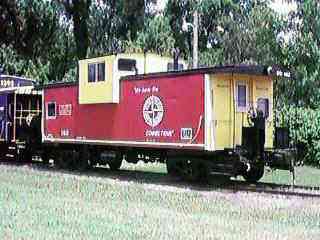 The bicentennial commemorative DT&I Locomotive. I like this one because I was born in 1976 and enjoy collecting anything from the bicentennial year.